Jeremy Corbyn is tipped to carry out a shadow cabinet reshuffle imminently after winning a surprise number of seats in Labour’s election defeat. He may choose not to act this week, however, in the hope of keeping up the pressure on Theresa May, who has been forced to ditch plans to radically reshape her own cabinet following her dire campaign over the last eight weeks. Labour’s leader also faces pressure to retain many of the top team who helped him defy expectations. Yesterday John McDonnell, the shadow chancellor, told Corbyn that he must not break up the party’s “winning team”. LabourList looks at a number of big-hitters, including a past leader and several former leadership challengers, to whom Corbyn could turn if he wanted to bring back some MPs from the centre-left. Hilary Benn – the former shadow foreign secretary seems an outside bet. Sacked by Corbyn last summer amid claims of disloyalty, Benn remains the ultimate party servant, but currently fills a hugely important role as chair of the Commons’ Brexit select committee. Yvette Cooper – the former shadow home secretary declined to answer questions yesterday as to whether she would serve in Corbyn’s top team and said MPs should not be “bartering or bidding for different kinds of jobs in TV studios”. Cooper, who lost out to Corbyn in the 2015 leadership election and now chairs the home affairs select committee, told Sky News: “I’m not going to be presumptuous about what Jeremy wants to do, it is his decision about what he wants to do in terms of the Shadow Cabinet, he has got to choose the Shadow Cabinet he wants”. Angela Eagle – allies told newspapers she would be willing to consider a comeback to the shadow cabinet after she told her Wallasey count on Thursday night: “I pledge to play any part my party should ask of me”. 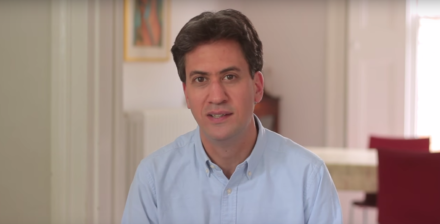 Ed Miliband – the former leader was touted for a return as shadow climate change secretary last year but it did not materialise. Now the backbencher – whose series of witty Twitter jibes against the Tories won new fans in the election – could come back to cover the environment brief, after Theresa May abolished the standalone climate change department. Owen Smith – uncertainty surrounds the future of the former shadow secretary of work and pensions. He was scathing about Corbyn’s competence in last summer’s leadership election but has been hugely complimentary about his campaign over the weekend, saying: “I was clearly wrong… I think he has proved me wrong and lots of people wrong and I take my hat off to him”. Chuka Umunna – the former shadow business secretary lavished praise on Corbyn in the aftermath of the election result and said he deserved tributes. “He has run an energetic and engaging campaign. This result has derailed the Tories’ plans to slash school budgets, cut the NHS, and pursue an extreme Brexit that would make Britain poorer”, Umunna told his count in Streatham.